If you want to understand the true meaning of a train in a dream, you have to concentrate on its basic characteristics. So, what are the most typical features and objectives of a train? The train is a powerful machine which allows you to travel faster than you would naturally only by walking … it is a modern analogy of a horse, but it has no spirit, it is a cold invention from metal sheets. The train can go only on rails … it limits your freedom to a great extent. The train is usually transporting large numbers of people … you are never alone there, it is a means where people meet and sometimes get acquainted. If you have the situation under full control. 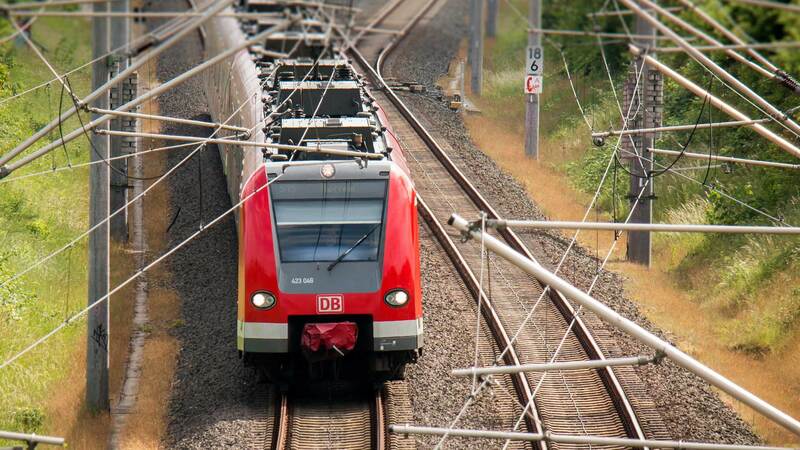 If the train represents a threat or vice versa an advantage (you feel comfortable there). And what kind of people do travel with you. Very helpful is to distinguish the essence of the rain from other means of transport. A horse is warm, natural and living. A car or bus is more close to the train, but they both are not limited so much, because they do not need the rails or electrical wires. It is always good to know, who is driving the train. Sometimes it does not matter at all, but sometimes it is relevant to your current situation – you can feel severe restrictions in your life (the demands of your boss or partner, the need to pay the mortgage etc.) Metaphorically it can be expressed as “you are not controlling the train of your life anymore” or “your life seems to be absolutely without the freedom, without the the possibility to turn anywhere, because solid metal rails are clearly giving the direction”. If you are missing the train in your dream, it can be an indication that you lost some great opportunity (a job, marriage, sale etc.) The reason can be also that your demands are too high and you would like to try the “mission impossible”. But do not be sad, you can lower your expectations or you can wait for the next suitable moment, for the next next train. You are at the end. You finished your task or completed your “mission”. It is also necessary to know, if it is really the targeted station where you get off in your dream. Because if you get off too early, the meaning is different. It can indicate, that you would like to abort your journey before reaching the end. Or that you are afraid of such unfortunate outcome. The meaning is often determined by what caused the crash. Was it your fault, a natural disaster or a terrorist attack? The cause can explain your inner point of view. Do you blame your self or others for the problems that are spoiling your bold plans? The derailed train can be a hint of some real failure. Death is often the dream symbol for deep transformation – the tree must be cut down in order to make place for new growing one. But here is the difference: it is inevitable and natural that old trees must step aside, but when anyone dies in a train accident, it is always an error and useless (or premature) loss. To die under the train or in a train crash mens that something or someone is violently ruining your peaceful path of life. You can feel lonely in your effort. The empty train may indicate a void in relations or upcoming problems in the family. The meaning can be attributed also to isolation at work and the lack of the necessary assistance and cooperation. Bags remind the mental “equipment” that you carry with you. Your personality traits can hinder or support you. When there is a problem with your bags, you can think about your character, skills and abilities. Are they suitable for you? Do you like them? Are you reconciled with yourself? The express or fast train (Shinkansen / Bullet train) is simply a sign of the powerful energy which is driving the hectic world. It is positive when someone controls it accurately and bad when it operates without limits – like too much information causing stress etc. The still standing train is like a “bank account without money” or like a project that can not move from A to B, from the idea to the realization. The tunnel is often perceived as Freudian sexual allusion. But you can also identify the tunnel or subway as a dark underground place where your sight is limited. It is similar like to be in a fog or to have closed eyes – your ability to perceive the reality encounters certain difficulties. Underground is also a place where your unconscious reigns. 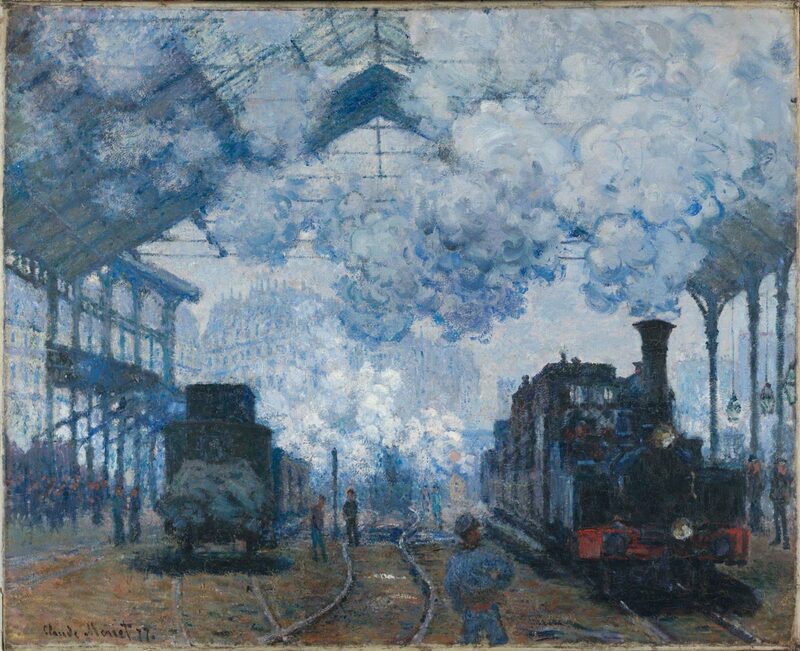 Monet painted a whole series (twelve paintings) of the Saint-Lazare train station in Paris. This subject was favored by many impressionist painters. You can feel the energy of steam and the elusive moment in this precious painting. Train emerging on a bridge, a beautiful foggy atmosphere in pastel colours. Emptiness, stillness, peace … the train is gone and the sun sets at down. With the train several minutes late and the driver trying to make up for lost time, it entered the station too fast and the train air brake failed. One of the less known, but better Hitchcock's movies. A fateful encounter – an entertaining game for the first man, a nightmare for the second.